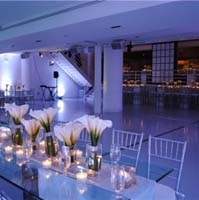 If you are throwing a party or get-together and need somewhere to do it, check out these great New York event venues. Whether you are having a bar mitzvah, wedding or birthday party, venues in New York offer you best space to do it. 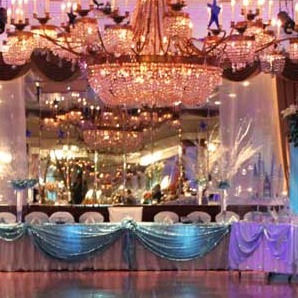 You will find here, a list of great banquet halls in NY which offer many great party packages. Planning a sweet 16 party for your son or daughter? 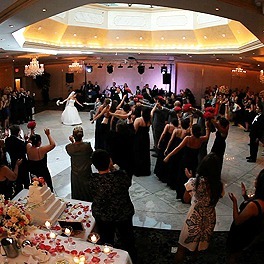 Check out these sweet 16 venues and services in NY. New York Party Venue Near the Ocean! For more than 10 years this beautiful banquet hall located steps away from the shore of the Atlantic Ocean has provided a gorgeous setting for events and parties of all types. Oceana can provide everything you need for an elegant event from table linens and flowers to delicious cuisine and top notch entertainment. Talk to one of their event specialists for help in planning your private or corporate affair. Oceana is truly one of the top New York event venues which can accommodate up to 600 guests. Beautiful Full-Service Party Hall in NY! 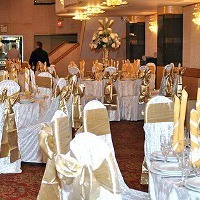 This full service NY banquet hall is located in the heart of Brooklyn just minutes from downtown NYC. With over 50 years in the catering and banquet hall business, the experts at Princess Manor know just how to make your event special. Whether you are celebrating a Quinceañera, an engagement, a corporate event or a birthday, this beautiful hall is the perfect choice. Several types of party packages are available and include everything you could need to throw an amazing event, from valet parking and on-site catering to special mood lighting and custom decorations. One of the Top Banquet Halls in NY! This beautiful banquet hall can provide everything you need for a spectacular event. Delicious on-site catering means you don't have to bother with the stress of having an outside vendor. Choose from several package types including not only the food but beautiful decorations and special effects such as ice sculptures, fireworks displays, fresh flowers and more. Floor to ceiling windows, skylights, fountains and elegant decor are all things to look forward to at this great party venue in New York. All of Villa Barone Manor's menus can be customized to your preferences to create an event exactly as you have imagined it. An Amazing Venue To Party At Here In New York! 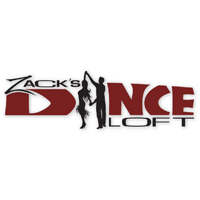 Zacks Dance Loft is a perfect place to hold any special occasion. Whether it is a bachelor party, bachelorette party, birthday or a sweet sixteen, Zacks Dance Loft is a great venue where everyone can enjoy. The place can accommodate a large number of guests, it has a wide spacious hall that is very comfortable and a good place to have a spectacular party. Make your reservations and have your party here at New York's Zacks Dance Loft. It is a perfect place to celebrate your achievements and special moments. Awesome Party Venue Here In New York! 300 New York offers an amazing place where you can have an amazing party. The venue is a great place to celebrate any special occasion, it is complete with a state of the art sound system, multimedia video screen, and full bar service. 300 New York is definitely a perfect place to party here in New York. So book your reservations and enjoy great service here at 300 New York, where your party will definitely be spectacular and amazing for everyone to enjoy. 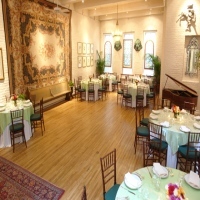 A Classy And Elegant Party Venue Here In New York! Alger House in the Village is a venue where you can enjoy an intimate party with a small group of guests. The venue can accommodate up to 106 guests and the place in itself is a very cozy and convenient place to have a party. Alger House in the Village offers to cater delicious cuisine and will provide an amazing service to make your party run smoothly and perfectly. Have your party at the classiest place here in New York. Make your reservations here at Alger House in the Village and enjoy the great service that it can offer to you. Have A Great Party And Share Great Moments With Friends! Ammos Estiatorio is a great place to hold a special occasion and the venue itself is complete with all the amenities and great service making your party a fun and memorable experience for everyone. Ammos Estiatorio offers to cater the meals for your special occasion, you will definitely enjoy the great food that they have offered. Also the venue is a comfortable place for guests to have a great time and enjoy. 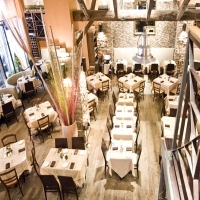 So have your party here at New York's Ammos Estiatorio where you will definitely enjoy and have a great time. Visit their website or call them at their hotline for inquiries or for reservations. A Perfect Location For A Party Venue Here In New York! Midtown Loft & Terrace is an elegant and classy venue perfect for any occasion and event. Have your wedding, birthday or company party here at Midtown Loft & Terrace. You will definitely love it here, and the service is absolutely great. 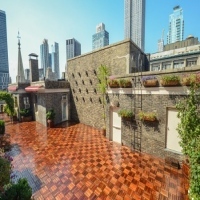 The place has an outdoor party venue called the Midtown Terrace where it can accommodate 200 guests and an indoor party venue called the Midtown Loft that can accommodate 300 guests. The place is simply a beautiful place to hold a special occasion. Have your special occasion at Midtown Loft & Terrace and make your reservation early. Visit their website or call them at their number for inquiries and for reservations of the venue. A Party That Caters To Small And Large Groups! A perfect party venue here in New York where they cater to small and large groups and also a perfect venue where you can celebrate a memorable occasion. Amity Hall is a location that is convenient and easy to go to, it is a place where you can have special events with your family and friends. The place offers amazing service and delicious food, you will definitely love it here. So make your reservation and have Amity Hall as your party venue of choice here in New York. The place is great and the food is simply delicious. A great Party At 404 NYC! Plan your party and have it at 404 NYC, where it is a perfect venue to hold your party or any other special occasions. The place offers a wide open space where it can accommodate a large number of guests and a venue that is comfortable and accessible for everyone. Make your party fun and memorable, 404 NYC has in its venue a state of the art facility complete with an amazing sound system and a wireless internet connection. The place simply has it all to make your party a success. So have your party here at 404 NYC. You will be sure that the guests will love the venue and you yourself will also find this place a great location to have an amazing party. Party Hard At Santos Party House! 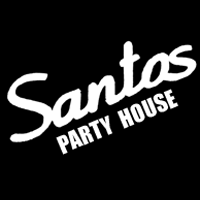 Santos Party House offers its venue for some amazing parties and special occasions, you will see that this place offers a very cozy environment with great service. 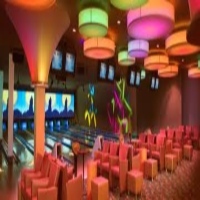 The venue can accommodate up to 500 guests and it is complete with all state of the art sound systems and lighting. Make Santos Party House your party venue of choice here in New York. They offer to give you the best party that you ever experienced, guests will definitely love the place and will enjoy their spectacular party. A Wide Spacious Venue Perfect For A Great Party! Arena is a perfect place here in New York that can accommodate up to 650 guests and is complete with a state of the art sound system and multimedia equipment. Arena is definitely a great place to celebrate and enjoy a momentous occasion. The venue also offers catering for the meals for your party and provides a DJ to make your special event a spectacular party for everyone to enjoy. 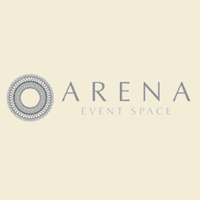 Have Arena as your party venue of choice here in New York. You will be sure that your guests will enjoy the great party and you as well will have a great time. Enjoy An Amazing Party At Brasserie Beaumarchais! 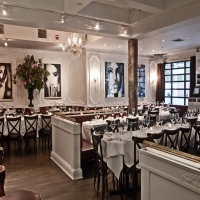 A great party venue here in New York, that can accommodate up to 150 guests, Brasserie Beaumarchais is an intimate venue where you can enjoy and have quality time with each other's company. The venue is an excellent place for hosting your special occasion. Complete with delicious French cuisine and good music, your guests will definitely enjoy and have a memorable day here at Brasserie Beaumarchais. Book your reservations and make Brasserie Beaumarchais your excellent choice in having a wonderful party to celebrate with your friends and family.